Disclaimer: Chance sent me a free demo copy of this video for me to review. First, a little background... I met Chance Sanders, and his wife, Laura, when they were assistant instructors when I went through Pathfinder Basic class in Ohio a couple years back (you can read my 5-part review of the school here). They were both very knowledgeable and all-around good folks. 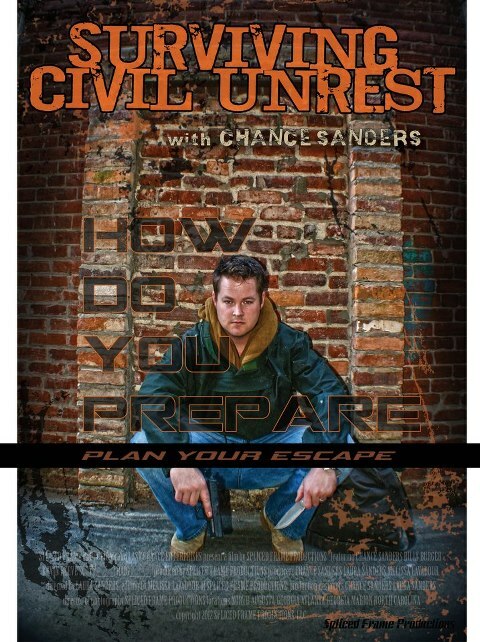 We've kept in touch since then, and I've followed his growing presence in the survival and preparedness field through articles that he has written for several magazines. About a year ago I was excited to find out that he was working on this training video and have been eagerly awaiting its release. As many readers know, I work in a major city, but commute over 50 miles to and from my rural homestead each day. I frequently take alternate routes home and refine my get home bag (GHB) for different times of the year. I dread the situation that might force me to hoof it home, but it is a possibility that something could happen. Recent news has given us examples of where the skills to escape and evade from an urban environment could be of great, and even lifesaving, value. The Boston Marathon bombings come to mind. Thousands of participants, race supporters, and even bystanders suddenly had their plans disrupted and many were separated from their belongings, and/or injured. Just last night, the Va. Beach oceanfront erupted in civil unrest with shootings, stabbings and mob violence. Imagine being a family on vacation and either out to dinner away from the hotel when things got bad, or simply at the beach for the day and trying to get out to get home in one piece. 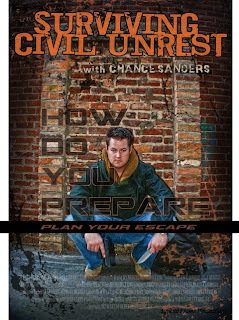 As I watched Surviving Civil Unrest this afternoon, I learned quite a few techniques that I can put into my get home plans. I also got some ideas that will make me think differently or alternatively about my particular situation. Chance teaches throughout the video by simulating an on-foot evacuation from an urban environment to his rural destination. He demonstrates and explains what he is doing, and has interspersed guest commentary from some subject matter experts. Aside from just "how-to" information, he also teaches a system of planning, using the Marine Corps 5-paragraph order. I had a hard time getting the video to play on my laptop - it wouldn't work at all with my RealPlayer, and it froze at several points using Windows Media Player - it could very well have been my computer, though and not an issue with the video. Playing it on my bluray on the TV, I had to try a few different buttons to get it started (this could also have been me, though, I'm not real used to watching discs on the player), but once I got it going it ran flawlessly. Chance used some really cool gear in the video. 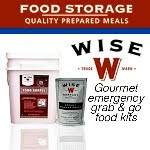 I'd love to see a supplier or resource list, perhaps on a related website, or linked on his YouTube channel. If you regularly spend time in an urban environment, there may well come a time when you can't get home your normal way. Part of your preps should be studying this video and practicing the techniques that Chance presents. You can order the video here. Check out Chance's YouTube channel here. Alex wrote his first post-SHTF novel, Going Home, under the nom de plume of Angery American. It recieved rave reviews on Amazon. He let me know that his latest book is on sale for .99 cents in e-version through Friday. 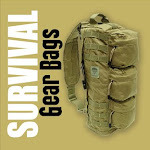 It is not a novel, but a how-to guide aimed at the beginner or intermediate prepper. I haven't read it yet, but I'm sure it will be great. And you sure can't beat the price. I went to this fair last year and really thought they did a great job. 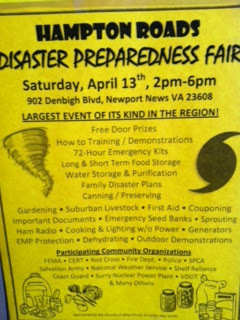 The LDS church in Newport News is doing it again this Saturday from 2 p.m. to 6 p.m.
As long-time readers know, I was a police officer for 15 years and have been the chief of security for a large, urban public school system for the past 7. As a cop, I attended hundreds of hours of training each year, far exceeding the mandated in-service requirements. Since I left police-work, I've still managed to attend way more training than is typically expected of someone in my position. This week I had the opportunity to attend what was one of the best training programs I have ever been too. ALERRT is Advanced Law Enforcement Rapid Response Training, and is a program designed in Texas to teach active killer response. I went through with college and municipal police from across southeast Virginia, with experience ranging from two years to nearly 40. Yesterday was classroom in the morning, followed by "blue gun" training in the afternoon to get the basics of team movements down. This morning we had a little more classroom, and moved to Simunitions for the afternoon. When I left police work, "Sims" were typically only used by the SWAT types. The use is much wider spread now, and it is truly an effective force-on-force training tool. My skills were a little rusty, but quickly came back, and by the end of the day, I felt very comfortable and competent and the cobwebs were getting knocked off. For the lawdogs out there, if you ever get the chance to attend this training, you really should. For other folks, contact your local PD or Sheriff's Office and ask them to get their officers trained in it. The training is offered free-of-charge through grant programs organized by Texas State University-San Marcos. Information is at www.ALERRT.org.